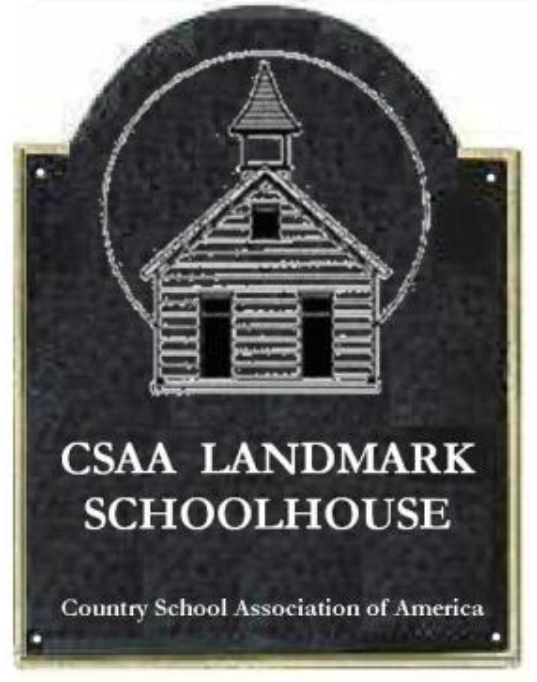 Our Mission: To educate today's world about the lost but not forgotten one room country schools of America! The road conditions can be so bad at times and they are all 'rocked' roads. They simply need more rock (or crushed Asphalt). Thank you for your support in this matter! Our next public program will be held Sometime in September 2017 details to be announced yet. Anyone is welcome to call and schedule a private visit anytime! 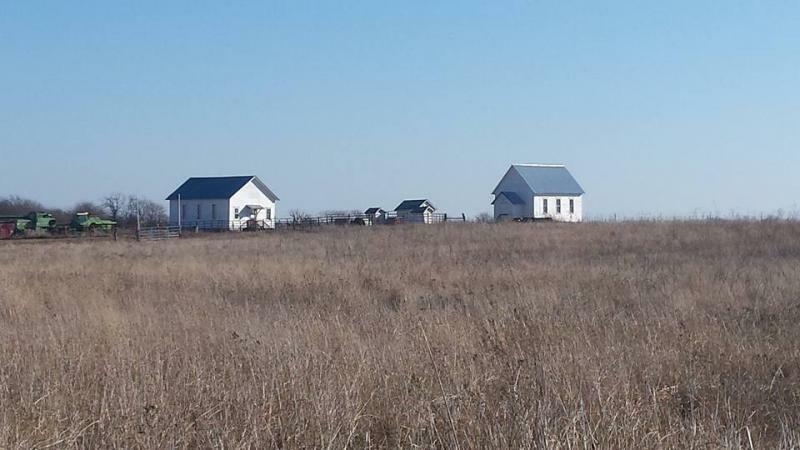 The Spring Creek School District #36 of Sumner County Kansas was successfully moved from its original location South of Corbin Kansas Off anson road across the street and a little to the south from the Corzine Cemetary. Have you ever gotten the opportunity to pet a Clydesdale Draft horse? 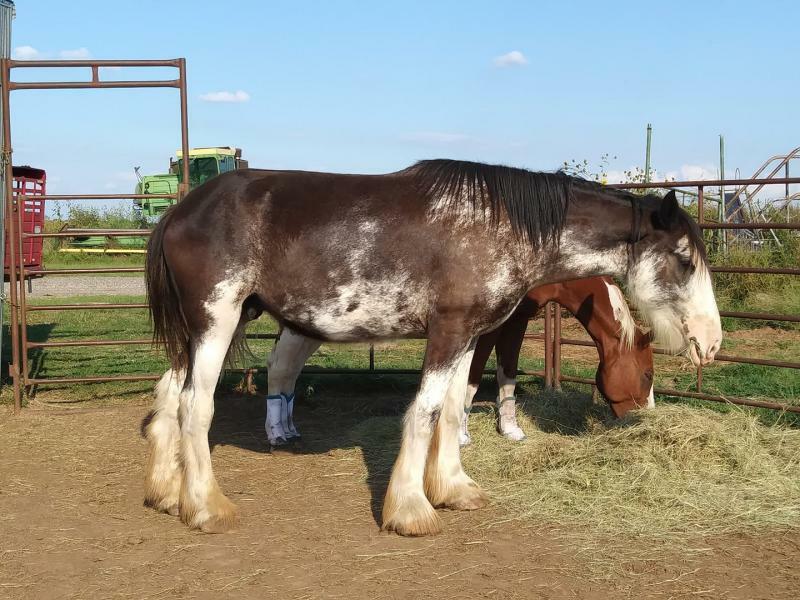 This Clydesdale draft horse is a growing baby. He is only 2 years old. All horses grow until they are 6 years old. He will mature somewhere between 17 and 18 hands tall (a hand = 4 inches) and will weigh somewhere between 1,600 to 2,000 pounds once he is full grown. He is in training to be ridden in local parades. We also hope to get him trained to pull a wagon if we have the funds in the future. Diesel is a sweet guy who LOVES people! He will be a spectacular added feature to the Country School Museum! The Clydesdale breed originated in Scotland. Originally, this breed was used for agriculture and hauling freights. Today, the breed is mostly used for demonstrations, parades, and wagon rides. The first recorded use of the name "Clydesdale" was in 1826. By 1830, the breed spread all over Scotland and Northern Europe. In 1877. the Clydesdale Horse Society of Scotland was formed followed by the American Clydesdale Association in 1879. In 1914, when World War 1 began, the numbers declined due to increasing mechanization and war conscription. The breed became vulnerable to extinction and remains that way today. 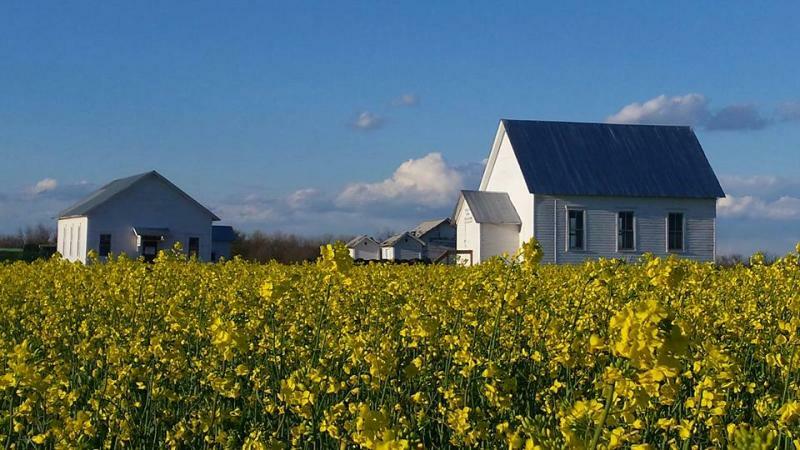 The breed's notoriety was re-established in 1933 at the end of prohibition when Anheuser Busch drove a Clydesdale team pulling a wagon load of Beer to our nation's capital. 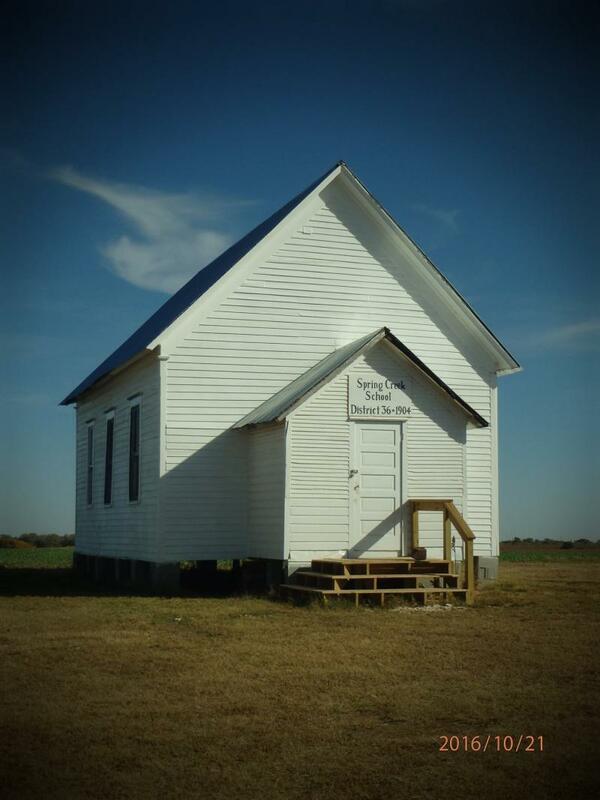 "To educate today's children about the lost but not forgotten one room schools of America"
Boys and girls entered seperately (the windows on the front where once doors). Boys on the right and girls on the left. Boys sat on opposite sides of the room from the girls. Wow what a change from today, huh!? ?